Whenever someone asks who is our lifelong companion, most of tell it is our partner or a close friend. We often fail to count another thing which is our constant companion. I am talking about our worries. The most common worry of mankind is to balance the present and the future. All of us want to enjoy life now. Have you thought how you would live a comfortable life after retirement? Some people start saving portions of their salary so that they would be able to sustain themselves post retirement. This is the right thing to do undoubtedly. The important question is how much do you save so that you can balance both your present and future lives. 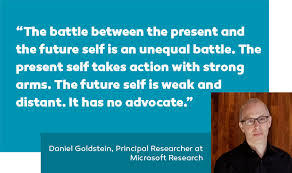 In a TED talk held in New York in November,2011, Daniel Goldstein, an American cognitive psychologist and Microsoft Research’s principal researcher enlightens us about dealing with this constant battle between our present and future self. Following are the note worthy points from his talk. Goldstein says that without self discipline its almost impossible to achieve anything. Initially he speaks about a method to resist temptation called ‘commitment device’. This is something that many of us would have resorted to because we lack self discipline. A commitment device is a decision that you make with a cool head to bind yourself so that you don’t do something regrettable when are angry. We all set ourselves physically possible goals yet many of us fail to achieve them. This is due to lack of self discipline. He cites a very common example which most of us would have experienced at some point in our lives. It is the problem of weight loss. When we decide to lose weight how many of us can stay true to our commitment if someone offers us a doughnut? This is where people employ a commitment device. In this case a commitment device might be something like running five extra rounds in case we eat a doughnut. This would prevent us from deviating from our commitment. Commitment devices may seem a well enough way to achieve the desired results but Goldstein explains why they should not be relied upon too much. The first flaw of using commitment devices is that it is a constant reminder of our lack of self control. We become dependent on them. In places where commitment devices cannot be established we fail miserably due to lack of self control. Commitment devices help us complete our work but make us mentally weak. They take power away from us. Since we set our own commitment devices many a times we find ways to avoid abiding by them. Goldstein says that instead of using them we should concentrate on improving our self discipline. As humans no one wants to be sad voluntarily. We know we have limited monetary resources. Still many of us are financially short sighted. We cannot estimate how much money we should save today to have a better tomorrow. Such is the extent of this problem that McKinsey Global Institute predicts that two out of three people born in this century will not be able to sustain themselves post retirement. To make people understand the gravity of this issue Goldstein has developed various devices which help people visualise their future self. 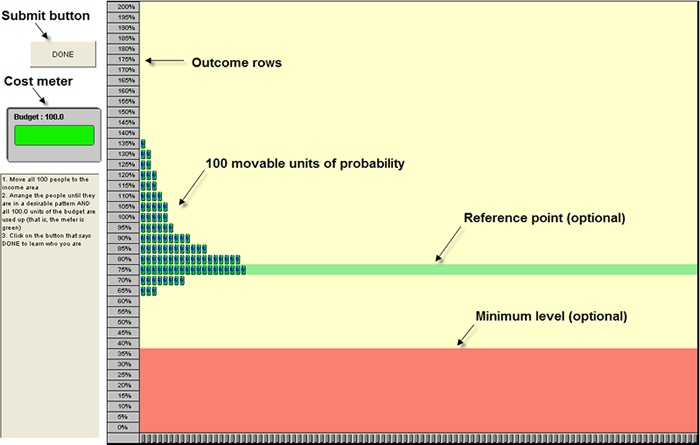 The ‘distribution builder’ is one such device which shows how a particular investment may shape up in the future. He even shows people pictures the types of accommodations they would be able to afford with their incomes. Getting a view of the future self by using a behavioural time machine. Goldstein speaks about one of the behavioural time machines he created in collaboration with Hal Hershfield. In this experiment he took pictures of college going students and showed them what they may look like when they are sixty or seventy years old. 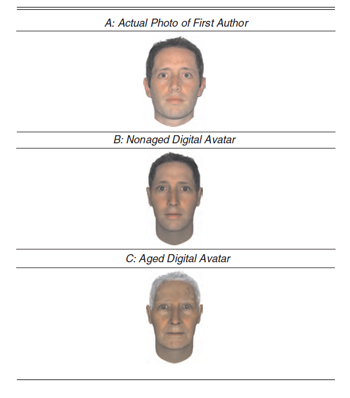 He did this to analyse whether people would change their investment behaviour if they got to know how they may look like in the future. He has also created another behavioural time machine with Allianz and Hershfield which showed people’s reaction to savings both in their future and present age. No matter what we do today, we are all connected to our future selves. Any action today is bound to have an impact on our future self too. This is the message that Goldstein wants to convey through this enriching talk.